Lying 3 miles from Guilford Harbor, Connecticut in Long Island Sound is a crescent shaped three acre island named Faulkner’s Island. The island is surrounded by reefs and submarine rocks which caused many ships to come to grief during the 1700’s. This led to the erection of the 23rd lighthouse station of the United States on the island in 1802. 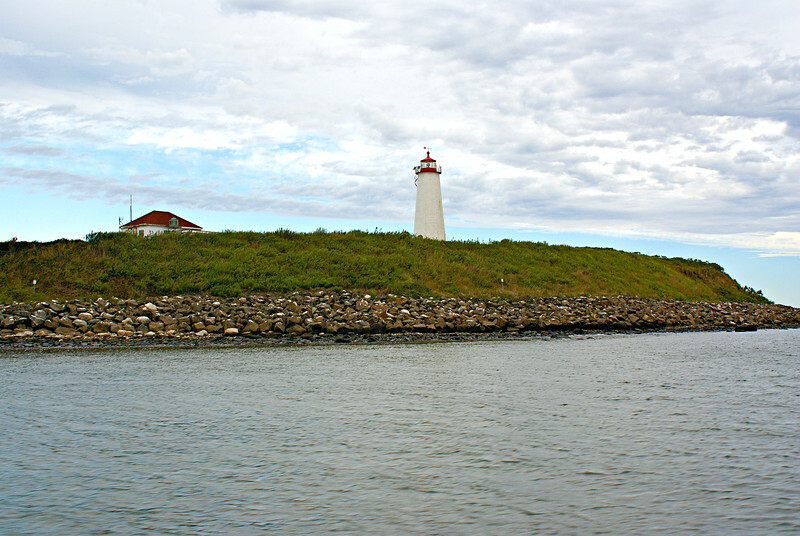 The lighthouse remains an active sentinel of the Sound and has been ‘on duty’ now for more than 200 years. Thomas Jefferson and James Madison had travelled to Guilford, Connecticut in 1791 by sloop and had noted Faulkner’s Island and its outlying reefs. When Jefferson gained the Presidency in 1800, he sent a representative of the Treasury Department to inquire about the purchase of the island for the government. Medad Stone, one of the leaders of Guilford, had purchased Faulkner’s Island for $158 in May 1800. Stone ran a local tavern and stage stop and served as Postmaster for the town. Possibly acting on ‘inside information’ he had learned of the government’s plan for Faulkner’s Island and saw an opportunity to turn a profit. He offered to sell the island for $500 to the government.